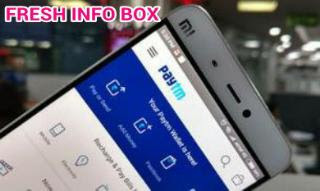 Is Paytm safe? Will it expose my bank details or my phone number to any potential stalker? These and similar more questions cross through our mind while accessing Paytm. 1. Use app password: Paytm recently rolled out an app password feature for Paytm wallet. The features ensures that the money in wallet stays safe even if one loses or misplaces the phone. To set up the password, first set the Phone's default Android security password. Go to Phone's Settings > Security > Screen Lock > Choose Screen Loc/ Pin/ Password/ Pattern or Fingerprint to protect the phone. Now open the Paytm app & click on "Pay" or "Passbook". You will be prompted to enable this optional feature. Now click on Add Security Feature. User will be asked to reconfirm your Phone's Pin/Password/Pattern/Fingerprint depending on what is selected as the default protection. Once confirmed, the new App Password is now set. 2. If you are accepting a Paytm payment, do so through QR code. Quick Response Codes or QR codes are unique and encrypted. 3. Don't keep too much money in your wallet. There's no such thing as unhackable. Every information you put on web is linked to one another and hacking your Paytm wallet is no rocket science. 4. Don't save your card while recharging wallet: although little inconvenient it is always better not to save the card info while a transaction.